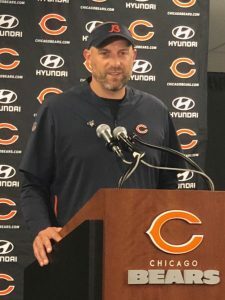 The 2018 Chicago Bears scrapped away at the Arizona Cardinals and left State Farm Stadium with a 16-14 victory. It wasn’t always pretty, but they did what they needed to return to Chicago atop the NFC North. The Cardinals took advantage of an uncharacteristic Bears’ start in which the Bears’ defense allowed multiple broken plays that went for big yardage. After the Cardinals capitalized on good field position from a Mitch Trubisky fumble, the Bears’ defense locked in. The Bears’ defense did not allow any further scoring throughout the game and forced three turnovers by Sam Bradford, eventually forcing a change at quarterback. Rookie Josh Rosen did not fare much better when he was thrown to the wolves for a four-minute drill. The Bears’ pass rush did what it had done all day and made Rosen’s life miserable, tacking on a sack and taking away an interception. The pass rush continued its dominance this week, with Khalil Mack stuffing the stat sheet with two sacks, five tackles and a forced fumble. 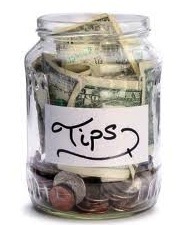 Sherrick McMannis and Akiem Hicks each added a sack of their own to finish the Bears’ day with four. What really stood out was the Bears’ secondary taking advantage of the pressure created upfront. Bradford and Rosen each had very little time to set their feet in the pocket and it resulted in bad balls primed for interceptions. On a 3rd and nine in the third quarter, Eddie Jackson played an overthrown ball perfectly and the Bears scored a touchdown. Later in the quarter, the rush forced Bradford out of the pocket, eliminating his vision to one side of the field. He forced a ball into double coverage for a McManus interception that led to a Bears field goal. The Bears had three plays that lasted over ten drives. The longest drive for the Cardinals lasted eight plays, and it ended with an interception. Trubisky took shots down the field but was unable to convert, making chunk plays hard to come by. They didn’t need the big plays though. The offense moved the ball methodically all day, and that led to their defense staying fresh and the Cardinals’ wearing down. The Bears had over 36 minutes of possession time compared to the Cardinals’ 22. Their offense had 21 first downs while the Cardinals only had 13. They ate away at the clock with the short game and scored just enough points to secure the victory. 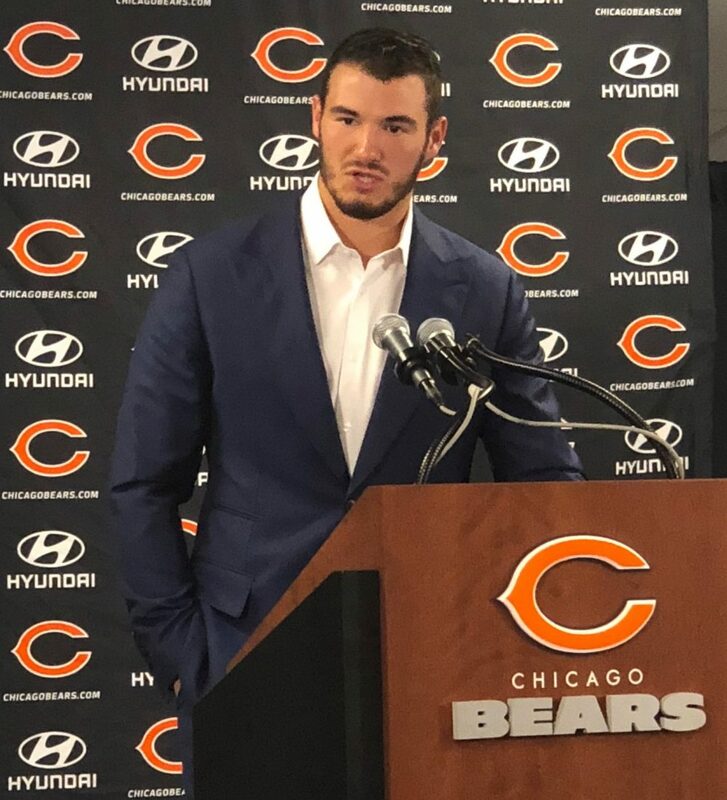 There are plenty of things for Trubisky to clean up, particularly his deep ball accuracy and recognizing blitzes before they come. There is an unfair expectation, especially with the success of Patrick Mahomes, for Trubisky to light the world on fire in his first season in a new offense. Sunday was a great chance to do so, but it wasn’t meant to be. 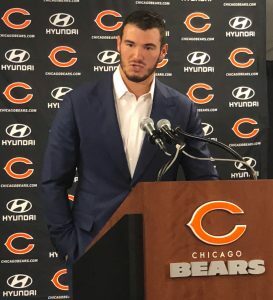 The story on Trubisky is very incomplete, and any declarations of his future standing in the NFL should still be reeled in. At the end of the day, the Bears got the victory. 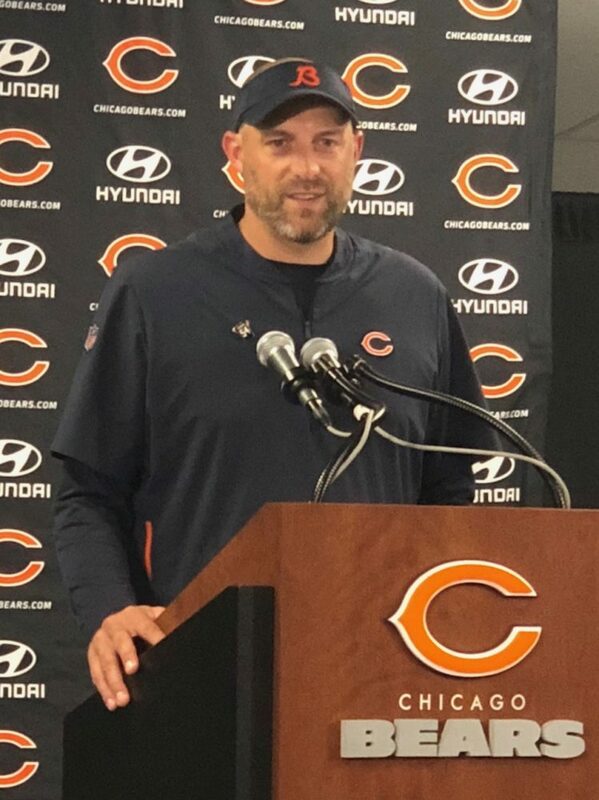 Nagy discussed the impact the defense has on the offense’s ability to grow within the system, saying, “It’s huge. They mean everything. Right now, they understand that. It doesn’t take a rocket scientist to realize we’re winning games because of our defense, but that doesn’t mean our offense isn’t a huge part of the score, or special teams.” As the old saying goes, a win’s a win, and the Bears are in first place of the NFC North for the first time since five years.